Thanks to the show Asia Biz Today I learned of an industrial espionage case involving South Korea, Israel, and China. In brief, agents of the South Korean branch of an Israeli company stole technology from two South Korean companies, and passed the loot to Chinese and Taiwanese companies. Key technologies to manufacture advanced flat-panel displays at Samsung Mobile Display and LG Display have been leaked by an local unit of an Israeli company, local prosecutors said Wednesday, raising concerns the leakage could pose a major threat to the national interest. The Seoul Central District Prosecutors' Office indicted under physical detention three employees at the local unit of an Israeli inspection equipment supplier, including a 36-year-old man surnamed Kim, on charges of leaking key local technologies used to produce active-matrix organic light-emitting diode (AMOLED) displays and white organic light-emitting diode (White OLED) displays. They also indicted without physical detention three other employees and the local unit, the prosecutors said, without identifying the Israeli firm. 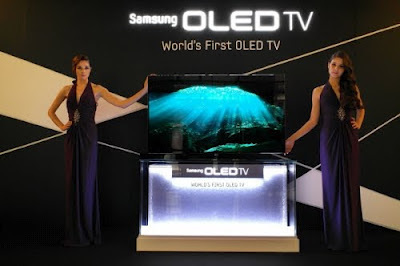 According to the prosecution, the indicted employees photographed circuit diagrams of yet-to-be-released 55-inch AMOLED television panels when they were let into Samsung and LG's manufacturing factories to check defects of inspection equipment from November of last year to January of this year. Prosecutors said the stolen information was likely relayed to the Israeli headquarters and Chinese and Taiwanese display-making rivals, including the biggest Chinese panel manufacturer BOE. "It is very likely that the stolen technologies have been given by the Israeli firm to foreign rivals," a prosecution official said. "This may expectedly deal a massive economic blow to the entire nation and can cause a sea change in the landscape of the global display market." Prosecutors say Orbotech officials in China and Taiwan sought to win inspection contracts from display panel manufacturers there using the circuit diagrams as bait. So, while the original article implied theft for purposes of duplication, the second article implied theft "to win inspection contracts." That is a narrower function and in line with Orbotech's corporate function as "an international developer and producer of automated optical inspection (AOI) and related imaging and computer-aided manufacturing systems" according to Wikipedia. Image credits: Korea IT Times. What a load of nonsense...thsi is typical Korean extrotion techniches, they did the exact same thing to Applied in 2010 which ended with AMAT giving Samsung discount on future purchases...same will happen here...the irony is that Samsung is teh world leader in copying other companies products including Orbotech. Why on earth would ORBK sell Samsung technology? they have over 70% market share and sell in China and Taiwan, they do not need to break the law to win business.